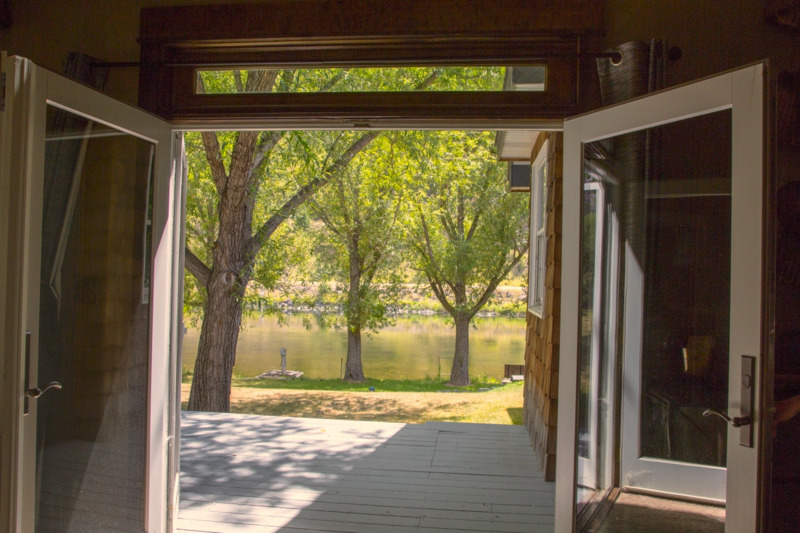 Stickney Room is the largest bedroom in Flatwater Lodge, it sits on the main floor to the north and contains 1 queen bed and 2 twin beds with private wooden French door access out to the deck and river. 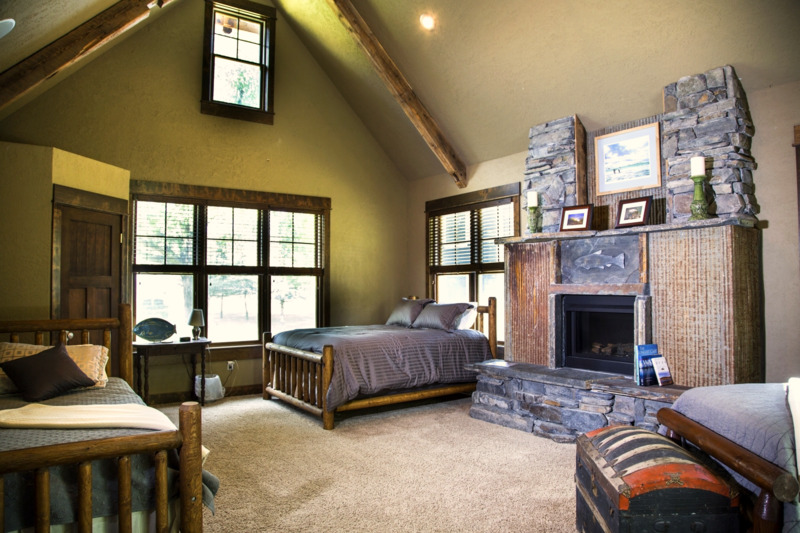 Vaulted, beamed ceilings highlight the room with plenty of natural light from both the western and eastern exposures. 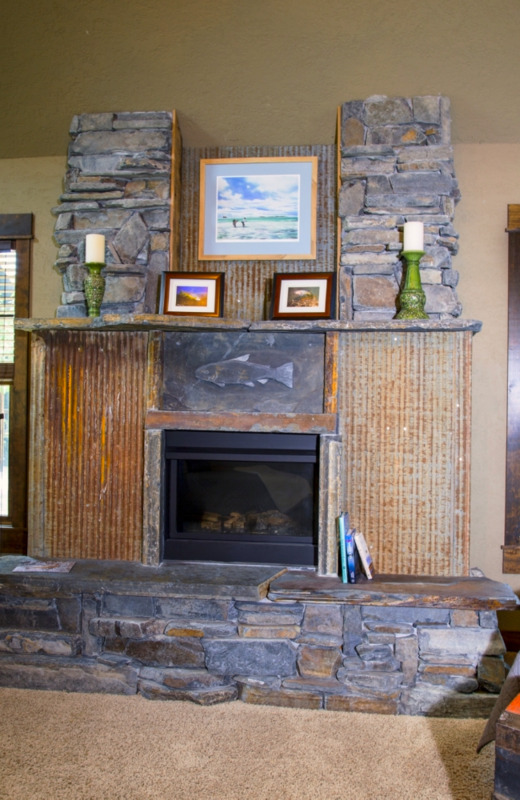 A handsome gas fireplace with reclaimed tin and tumbled stone provide much coziness on those tougher weather days on the Missouri River. 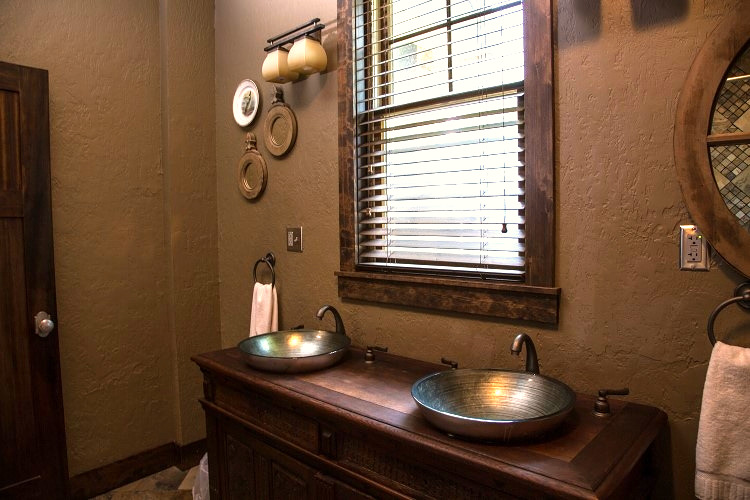 Stickney's full bathroom consists of slate floors, ToTo toilet, large and comfortable tub, slate shower and antique vanity inset with double glass sinks and designer faucets and other accents. 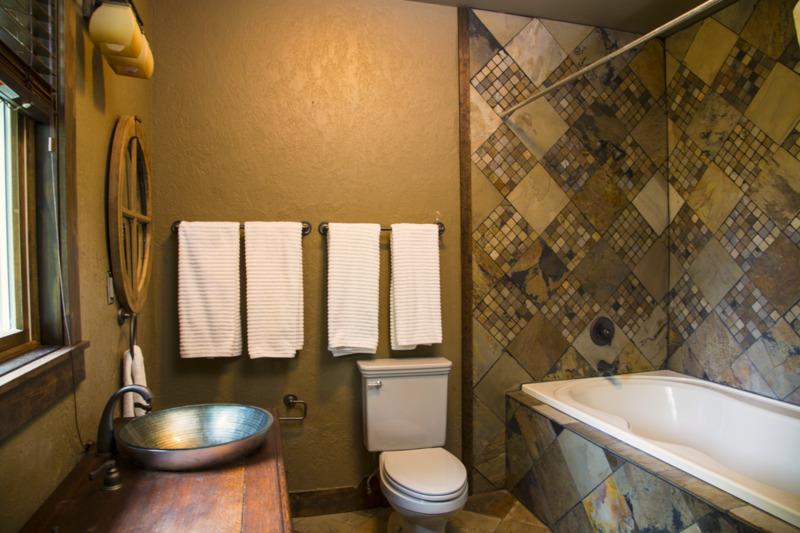 This room can be used for families or just the boys out fishing with plenty of room and comfort for everyone.